We believe that every can take action now, immediately, to make their marriage better, stronger, and closer. Here is how we answered the question and what we recommend every couple do to move toward each other and the marriage they deeply desire. 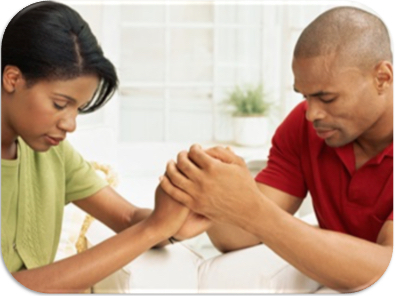 Pray Together – Go now, grab your spouse’s hand, and say a brief prayer. Praise God that He put you together. Thank him for your spouse and that you have made it this far. Pray God’s blessing on your spouse and your relationship and that you would continue to grow together. Hold, Touch and Kiss – Stop reading this and go to your spouse right now and touch them in a way they will receive it. Rub their back, hold their hand, caress their neck, hug, embrace! Kiss your spouse. A peck on the cheek or the lips. A long deep kiss. Touch your spouse! Make An Appreciation List – Create a file, or write down a list of everything you can think of that you appreciate about your spouse. What have they done for you? If you have children, what have they done in their parenting responsibilities? What are the very best qualities of their heart? What characteristics do you most admire about them? Now go share what you want from the list with your spouse. Bless your spouse. We love to hear from readers. How would you have answered the pastor’s question? Does your marriage need for you to move toward your spouse? If you tried any of the suggestions, what was your experience? Have you tried any of these in the past? What would you add to these five ways to make your marriage better? Do you know someone who you need to forward this article to?